The US government takes influenza seriously. 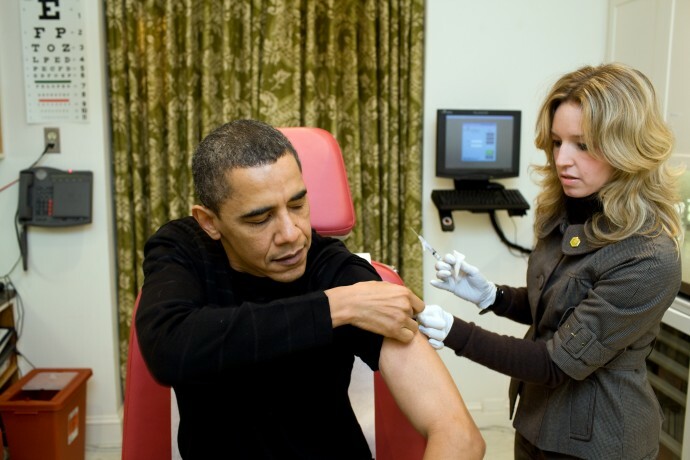 A White House nurse gives President Obama a flu shot at the White House in 2009. White House photo by Pete Souza. Panama’s Cuban migrant crisis just becaame a bit more complicated. A 53-year-old Cuban died of severe respiratory symptoms at the Rafael Estevez Hospital in David, and diagnosis is the AH1N1 strain of swine flu. Two other ailing Cuban migrants have been diagnosed with AH1N1 infections. Across the border, Costa Rica reports at least nine deaths from this virus. Tico health authorities are scrambling to import vaccine and begin a mass vaccination program, for which it seems they had little in the way of contingency plans. The mass Cuban migration that began in mid-December by way of South America and then to Panama, Costa Rica and onwards toward the United States, has left about 1,000 Cubans stranded in Panama and nearly 8,000 in Costa Rica. A proposed plan to ship those in Costa Rica directly to the United States has stalled. 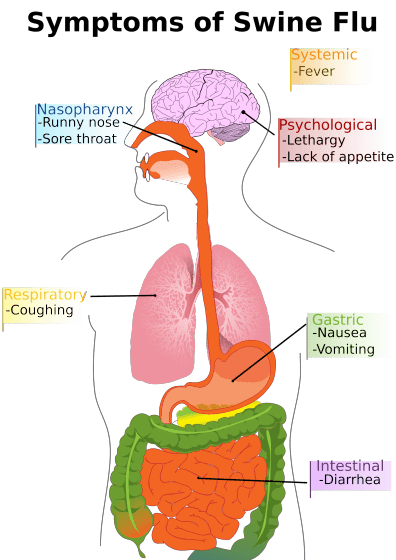 The influenza strain, also described as type A of H1N1 human influenza, has been out and about in the world for a number of years. There was a major worldwide outbreak in 2009, which caused more than 18,000 deaths. As best as can be determined, that outbreak began either in the United States or Mexico, with the first confirmed diagnosis in California and the first deaths in Mexico. The strain is believed similar to the so-called Spanish flu of World War I, which probably actually originated in the United States and caused the Pandemic of 1918 that killed 20 to 40 million people and did much to end the war — troops were getting sick in the trenches of both sides, but in Germany the flu shut down war materiel production — and was probably the infection that led to US President Woodrow Wilson’s stroke. The big problem with flu strains is that they are all highly contagious and can mutate from mild to deadly, or vice versa, in the course of an epidemic. Another problem is that vaccines for one strain may not be effective for another. Panamanian epidemiologists are reportedly concerned. The Ministry of Health has yet to issue a health alert about the flu outbreak, which is likely a sign that the government is not prepared to advise at least the most vulnerable residents to go to its clinics for flu shots. For now the standard recommendations are being issued — maintain sanitary standards, wash your hands, stay at home if you have flu symptoms and so on. But El Niño has given us an aggravated problem in many parts of Panama, where the water is off and ordinary cleaning is made more difficult. It might be a good idea for tourists headed this way to get flu shots before they come. Regardless of the actual magnitude of the health risks, the death of one Cuban migrant in Panama is likely to have political repercussions in the United States during an election year characterized by venomous tirades against Latin American immigrants. Don’t look for the Obama administration to take in any unvaccinated Cuban migrants from Panama.